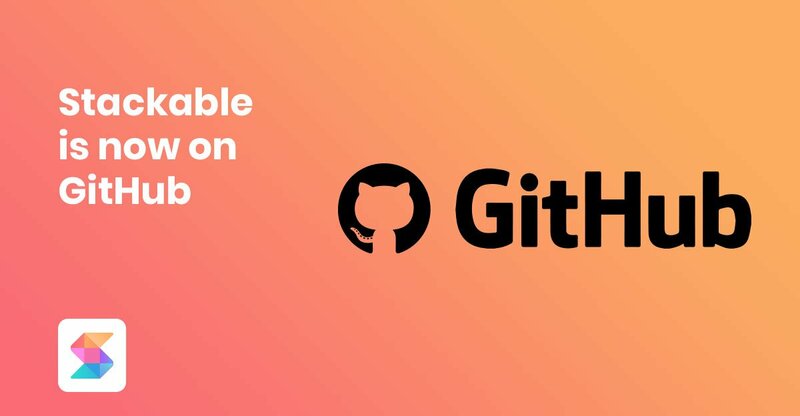 In order to build an open and strong community, we’ve decided to move Stackable from a private code repository, to a public Github repository. Stackable is open source software, which means that the code that’s used to build it is freely available for everyone. Anyone can get the code, read it and learn from it. However, the source code was only included with the plugin itself. If you open the plugin zip file, it’s all there. The methods to build the Stackable though, weren’t. All of those were in our private repository. So if you found a bug and wanted to help us fix it, or if you wanted to add something custom in Stackable, you’ll have to ask us in the Support Forum to do it. We had the build scripts in a private repository mainly because we thought it wasn’t ready yet. We didn’t have our standards really drilled down before. For the past few versions, up until this version 1.12 release, we’ve been doubling down on our standards, performing a code-wide cleanup, and we’ve finally organized our build tools. Now, we’ve moved all our code in GitHub! Moving to a public repository has a lot of benefits. Probably the most important one is that it allows anyone to contribute and be part of the Stackable community! By contributing to Stackable, you’re helping us (and every other co-user) improve Stackable. While Stackable is already awesome (in our opinion), there’s a LOT of room for improvement, and there’s a lot of ways to contribute. If you’re not a developer, don’t be afraid, you don’t have to touch any code to contribute. Charge ahead towards our GitHub repository, grab the code, build it and start experimenting!